4 editions of Scholia Aristophanica found in the catalog. Add another edition? 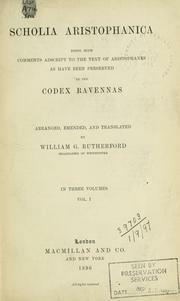 being such comments adscript to the text of Aristophanes as have been preserved in the Codex Ravennas, arr., emended, and translated. 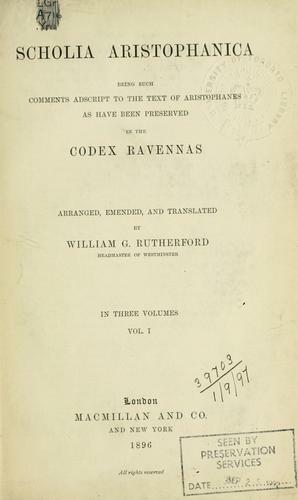 Published 1896 by Macmillan in London .